“I am fortunate that I am able to study and teach topics that I find the most interesting,” said Batten Professor David Leblang. Leblang joined the University of Virginia in the Department of Politics and the Miller Center in 2008. In 2009 he became affiliated with the Batten School, where he teaches a course on international economic policy. His interest in global policy figures prominently in his work, which focuses on immigration both in the U.S. and Europe as well as the financial crises that rocked the global economy in the last decade. These competing areas of interest require Leblang to utilize a variety of disciplinary perspectives in both his teaching and research. 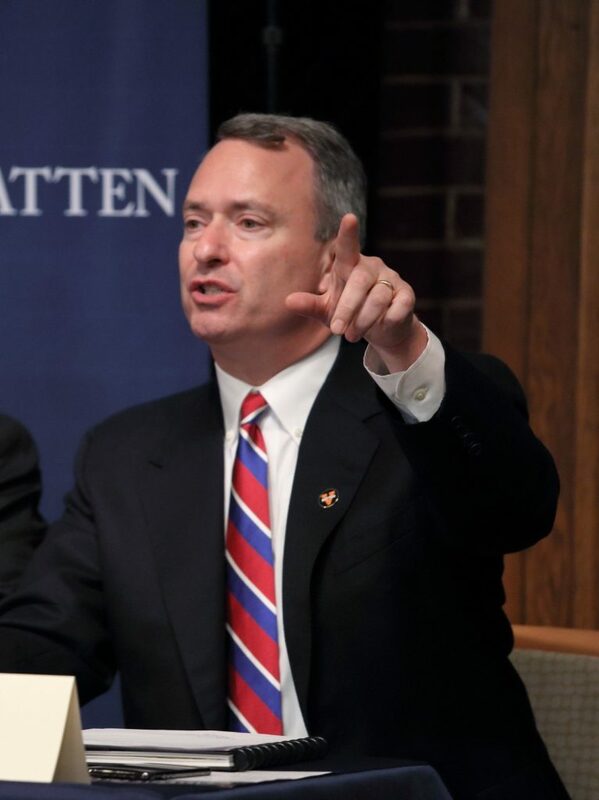 It is that very multi-disciplinary approach to knowledge that has allowed Leblang to thrive at Batten and continues to guide his work today both as a professor, researcher, as well as the Faculty Director of Batten’s Global Policy Center. “I think even as a professor, it’s critical to say ‘I don’t know,’ as that invites dialogue,” said Leblang, who believes this kind of attitude emboldens students who would otherwise remain silent for fear of being outed by their peers as ignorant or out-of-touch with current events. But it can also prove beneficial to scholars, such as himself. Leblang ended up collaborating with both professors. “We were both able to fill in the gaps in each other’s research as well as offer different perspectives,” said Leblang. This idea of learning from others has become a dominant feature of Leblang’s practice over the last decade. Since he arrived at the University of Virginia in 2008, he has taught courses on political economy and migration with Sonal Pandya and Jennifer Rubenstein in the Department of Politics as well as a course on the Financial Crisis of 2018 with Robert Bruner of Darden. He also conducted a policy lab called “Saving Lives with Data” with Batten Director of Humanitarian Policy Kirsten Gelsdorf and Mark Slezak, a practitioner. That’s just the tip of the iceberg when it comes to Leblang’s range and interests as both a professor and a scholar. “I enjoy the give and take that is part of a scholarly community,” Leblang said. Currently, he is working on three different papers that arose when Ph.D. students at different universities asked him approached him with questions during a visiting colloquium. Working with students, Leblang emphasizes how research and the process of coming up with a strategy to answer a question—even those with real-world application, is not enough. Iadarola has studied under Leblang both as an undergraduate and graduate student and for the past two years, she has worked as a research assistant for Leblang.